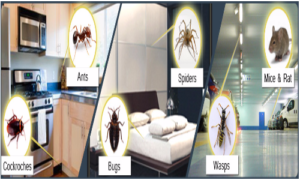 All properties have some kind of insect or pest problem that most people do not know about until, the sight of an insect or rodent in your home. Have a Local Pest Control Service Pasadena deal with exterminating any large infestation. It's too late to deal with yourself once it has scurried behind the sofa and begin breeding more. The pest control may not be as easy to handle on your own once they arrive. We know that one cannot cover your eyes and ears and expect them to just disappear. All Track Exterminators Pasadena Ca Pest Control Treatment has done many services in their work and can in your home. A pest-free and germ breeding health issues are what every homeowner or tenant deserves after dealing with some sort of pest infestation. Listen up! There's plenty of higher prices pest companies in the Greater Los Angeles areas but, we've learned that a great service from All track Exterminators Home Pest Inspection Pasadena using the best ways to prevent future infestations and handle the ones you already have is really all property owners want. Have your roof inspected for leaks and make sure that all gutters and downspouts are in good working order. Have pipes divert water several feet away from your foundation to prevent water from pooling in spots that make soft or settling soil. Cut back your trees at least several feet from your roofline and lower bushes shrubs one foot from your exterior walls, porches, garage, carports, outbuildings, etc. “OPEN” your bushes at the lowest portion of the bush for air circulation around your home or business adjacent to your foundation. This reduces bug and rodent harborage. 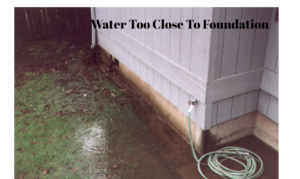 Stop standing water from collecting in front of your crawlspace/foundation. If the property has a crawlspace and it is lower than the surrounding exterior grade. Water runoff sloped toward the structure and drainage can act as a sump allowing water to flood the subarea leaving an excessive moisture condition underneath the structure. The best way to correct the exterior drainage is to install a French Drain or place a cistern drain and pump on the inside, if necessary. It is important your subarea foundation vents are secure and operating to allow ventilation. 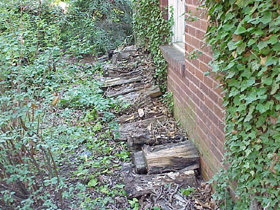 Some properties naturally have moisture that comes from the ground. If the soil is too damp in your crawlspace it would best to install a plastic vapor barrier to reduce airborne moisture which could cause wood rot. Make sure your crawlspace door and all other doors to the subareas are close properly to prevent wildlife from entering. Fire are caused due to stacked or stored firewood, unfinished building materials left too close to or laying against your foundation. Wood products provide food for wood destroying insects, capture water and provide shelter for animal and pests. Inspect the foundation and seal damage to the structure, including the utility pipes holes that enter the foundation. Check for standing water around the property and stop buildup. Especially if in unused pots, containers, boxes, etc., take old tires to the dump. These places leave harborage to Blackwidow spiders and Mosquitos Breading. Secure your garbage containers and move them several feet away from your home or business. Having all the debri removed from your home and outside containers regularly can help reduce the vermin and pest from getting too close. Food debri should be cleaned from your food preparation and eating surfaces once the kitchen is finished with. Completely clean dishes, pots and pans daily. Keep your food in properly sealed containers, plastic containers, and refrigerator. This is important to lower if there are known pest infestations and to keep food is scarce. One easy way to get infected is to leave your pet food exposed on the outside continually. Family pets should eat once or twice a day at certain times, then remove the food and store it in a hard plastic or metal tamper proof container. Ants, mice, and other insects can get pet food inside but if you perform the same routine as if it were outside it would be less of an attractant . Another nuisance pest can be from feeding your wild birds and squirrels. Try not to use anything like feeders on the outside or other animals will become pests. Remove feeders after use within a day or so. To prevent unwanted pests from infiltrating other entry locations and want to move on. Home Pest Control Company Pasadena Ca for all pest, termite control services and to perform a thorough inspection. We offer the best type of warranties in the industry. We are locally owned and operate throughout the Los Angeles County in the San Gabriel Valley and courteous, friendly, responsive and knowledgeable in structural wood issues. We are committed to coming when promise and finally, we strive to solve your pest problems!